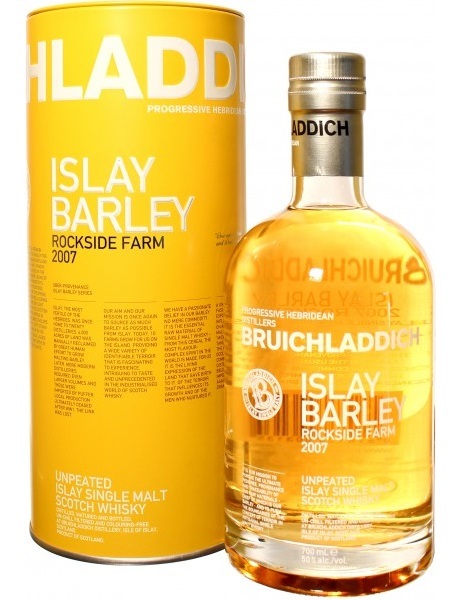 The Bruichladdich Islay Barley series is all about provenance - Islay from field to bottle. The 2007 release is the 3rd in the series. The barley was harvested in 2006 from the Rockside Farm, 1.5miles from the distillery, and distilled in 2007. It was matured in ex-bourbon casks, mainly first-fill, before being bottled in 2014 giving it an age of 7 years. It is natural colour, non-chill filtered and bottled at 50% ABV.